SAN JOSE, Costa Rica, February 13, 2019	(Newswire.com) - Sports Per Head, a pay per head sportsbook, saw that several of their bookies made money during the 53rd annual NFL Championship game. Many believed this was due to the low score of the game. The betting line on the NFL Championship was for New England to win by 2.5. New England actually won by 10. As only 16 total points were scored in the game, the total score in the game fell well below the “over/under” for the game, which was 55.5 points. “The NFL Championship game brings in all kinds of people who wouldn’t ordinarily bet, so our bookies did great because so many people thought this was going to be high-scoring with two big offenses. Plus, last year’s game was such a track meet. In this game though, our bookies did fantastic because the game went in a way that not too many people thought it would. It was another victory for our industry,” said Jorge Flores, head of customer service. Sports Per Head online bookie software offers bets on football games all season long. Additionally, they also offer betting action on college football games, pro and college basketball games, baseball, hockey and many other sports. Online casino games and horse racing are available, too. 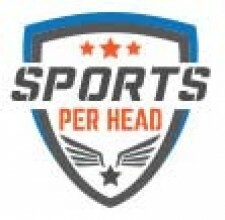 For more information about online sportsbook software, The Big Game or to make a press inquiry, contact https://www.sportsperhead.com.